“Cumbrian Alchemy” is the latest exhibition to go on display in The Beacon Museum’s Harbour Gallery. This contemporary exhibition, which includes drawings, photographs and artefacts, takes a unique view of the county with its ancient landscapes and contrasting iconic energy sites. 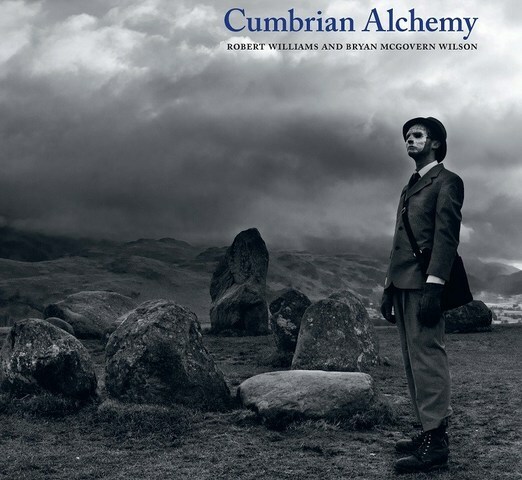 Focussing on the Energy Coast, “Cumbrian Alchemy” explores the connection between the county’s industrial heritage and the archaeology, monuments and folklore of the area. As well as looking at older industries, such as mining, the exhibition also looks at the modern nuclear industry. More of this can be explored on the second floor of the museum which is now home to “The Sellafield Story” – a new exhibition opened at The Beacon Museum by Professor Brian Cox in May 2014. The exhibition has been produced by the University of Cumbria and supported by Arts Council England. It brings together the work of Robert Williams, Professor of Fine Art at the University of Cumbria and Bryan McGovern Wilson, an artist from the USA. As we all know the landscape of Cumbria is steeped in history; some of it natural while other aspects are manmade. Millions flock to the county to explore this beautiful landscape. However, the calmness of the fells and the stillness of the lakes have fascinating stories to tell; from legends of wild boars roaming Kirkby Stephen to Boggles drifting through the streets of Whitehaven. Using a range of contemporary artwork, visitors to the exhibition will be able to explore these fascinating subjects and their origins and look at how, before the birth of modern science, our ancestors used their knowledge of the landscape in the ancient craft of alchemy.